This entry was posted in Apple, Apple Watch, Fitness/Training/Nutrition, Nike Fuel and tagged #nikefuel #nikefuelband, fitness, fitness tracker, fitness tracking, Nike. Bookmark the permalink. I really enjoyed reading this article! I am currently charging my fuel band se and decided to do a google search “fuel band in 2017”. I too have been searching hashtags in IG for fuel band activity haha. I look forward to seeing how I will enjoy the “resurrection” of my fuel band along with my  watch series 2. Great job! Sorry for the late reply! Thanks for commenting in on the post. I am enjoying using the FuelBand alongside my watch. Feel free to comment back here with your experiences! Cheers! My SE won’t connect to Nikeplus website. Looks like Nike has stopped supporting the software. I was able to connect with my MacBook via wifi. I have the software for the FuelBand. Let me know if you’d like it. What OS are you running on the SE and is it connected to wifi? Hi, can you please send me the link for the fuel band software for mac? I tried plugging mine into the newest version off the nike website but it is not detecting my fuel band. 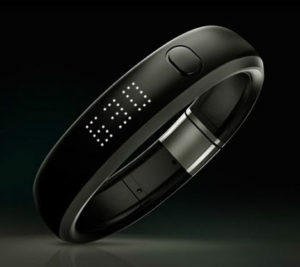 Hello, I just got the fuel Band, looks like nike has stopped supporting, cause the site wont let me login or register. How else can I make the band work ? Does anyone know how to retrieve their old nike fuelband data. They discontinued the fuelband app on April 30th. I called about 10 times before April 30th and every technician said my data would show up on the nike run app. That isnt the case. They were wrong. It took 11 phone calls and to talk to a Level 2 rep for them to tell me all of the customer service reps had been wrong. I want my data back. So sad. Very excited to read this. I completely related to the wow factor on the LEDs. Lost my Fitbit about two weeks ago and was researching whether or not to buy another one or see what was new out there. Came across my beloved Fuelband in a drawer and decided to charge it up. Once it’s ready I will try updating on my Mac. The thought of using it again brings me the same joy as listening to 80’s music… great memories. I spent time talking to Nike Support via Twitter right before 30 Ap, and yes, their level 1 reps all read from scripts (smh). There is no way to retrieve NikeFuel data now that the website is gone. The only app that continues to generate NikeFuel is the Nike Run Club app – they even moved it out of the NTC app. I’ve been doing research on the web trying to get answer as well. Yes you are correct. I am trying to find out how myself, as my FuelBand is still tracking but without the website, I can’t sync it and free up memory. Soon it will be full and I’ll be out of luck without the website. I’ve approached this issue with creators of the Fuel band and awaiting a (hopeful) reply. Stay tuned. Now even the Nike Fuelband app won’t recognize my band. Any luck from your end? Appreciate the comment. The short of it is this: In the very least, unless the Nike+ Connect app is released as open source and it can be re-engineered to sync to desktop without website integration, the Fuel band is pretty much useless once it’s full. I hastily brought a near brand new – worn once by an older lady. I did the same thing you did, but without syncing to the website I cant change anything in her profile data. If I reset it, I’m in the same boat you are. Shame they let it go, but from a business standpoint, based on my research, I can see why. Hey Mr Fresh , any luck ? Nothing…I’m still checking around. Nothing on your end, I take it? I haven’t heard back from Nike on releasing Nike+ Connect as open source.